Thank you for your interest in FlexWeigh scale products. In 2009, Rice Lake Weighing Systems acquired the FlexWeigh Division of Enduro Systems located in Santa Rosa, California. Since that time Rice Lake has been busy supporting the brand's existing product lines and engineering a new generation of the popular FlexWeigh DWM-IV. As FlexWeigh's replacement for the DWM-IV Series, Rice Lake's 920i FlexWeigh Systems are pre-engineered and pre-programmed for many of manufacturing's most common weighing tasks. With the upgrade, Rice Lake adds their 920i Indicator/Controller which allows more customization and programming options for modern industry needs. Rice Lake's 920i FlexWeigh Systems are available in nine standard models for four different kinds of use: single-ingredient fillers (101 and 102), loss-in-weight fillers (103 and 104), NTEP-approved bulkweighing fillers (107, 108, and 109), and multi-ingredient batchers (201 and 202). Each 920i FlexWeigh model is a standard design in its own right, factory tested and built for the job at hand, yet customizable enough to let manufacturers adjust as needed. Stainless steel NEMA-4X enclosures and rugged, customizable operation switches guarantee FlexWeigh's reputation for industrial-strength dependability, value and performance. Rice Lake 920i Flexweigh Bulkweighers107 Shipping Bulkweigher is designed for basic shipping-mode bulkweighing applications. 108 Receiving Bulkweigher is designed for basic receiving mode bulkweighing applications. 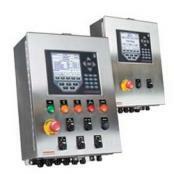 109 Ship/Receive Bulkweigher allows the user to select which mode of operation to use. 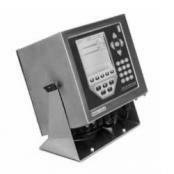 Rice Lake 920i Flexweigh Flow Rate Controllers105 Basic Flow-Rate Controller Dispenses preset net weight quantities at preset flow rate values. 106 Loss-In-Weight with Flow-Rate Control and Automatic Refill and 205 Eight Ingredient Batcher with Flow-Rate Control Discharge batch up to eight ingredients in sequential order to preset formula weights.